Nineteen students represented Honolulu CC’s FIRE Science and Occupational & Environmental Safety Management programs in a hazardous materials training conducted in October that emphasized emergency response to weapons of mass destructions (WMD). The training was hosted by Honolulu CC’s FIRE Science program with Texas A&M’s Engineering Extension Service (TEEX). “Our students were able to train side by side with professionals in the field. This experience proved to be rewarding and will enhance their resumes when applying for jobs,” shares Honolulu Community College FIRE Science instructor Chief Richard S. Rhode. The HazMat training provided students with the ability to respond to a WMD and Chemical, Biological, Radiological, Nuclear, and Explosives (CBRNE) terrorism or a hazardous materials incident in a defensive mode and preclude the spread of a CBRNE hazard to the public and the environment. 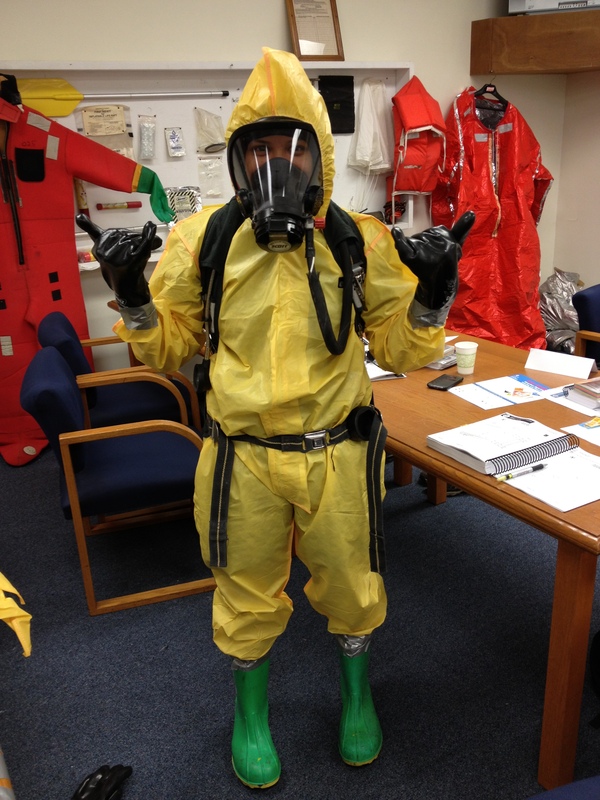 Specific aspects of training included: assessing WMD hazards; predicting the likely behavior of WMD materials; identifying strategies for a HazMat or WMD incident; effectively operating and communicating in a unified command structure of the Incident Command System (ICS); determining Personal Protective Equipment (PPE) needs; donning PPE; and performing emergency decontamination. Each student received certification through the National Board of Fire Service Professional Qualifications (ProBoard) upon successful completion of written exams and skills testing. Training delivery consisted of classroom presentations, group discussions, small group activities, and practical exercises utilizing Level B personal protective equipment. Student resources and all equipment to include detectors, monitors and survey equipment along with personal protective clothing were provided at no cost to the student. The course material and instructors were funded entirely by the Department of Homeland Security, Office of Grants and Training. Other course participants were from Law Enforcement Agencies (HPD’s Special Operations Division, Military Police from Schofield Barracks, Emergency Medical Services (Medevac-EMT’s), Public Health (University of Hawaii Biosafety, and Joint Base Pearl Harbor-Hickam’s Environmental Safety), Fire/Rescue Services (Schofield Barracks Wildland Firefighters), Emergency Management (University of Hawaii’s Emergency Preparedness Coordinator), and Hawaii National Guard soldiers. 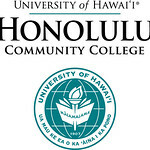 Honolulu CC is the first community college in the University of Hawaii System to offer an associate in applied science degree in fire science.